Cyber security is a volatile issue in APAC. APAC is the home for some of the world’s least networked countries such as Myanmar and Cambodia plus some of the most networked countries including South Korea, Japan, Malaysia & Singapore. Lack of Infrastructure and weak supporting legislation severely impedes the growth in the information security sector. The cyber security market is estimated to witness a growth of $170 billion (USD) by 2020, with the increasing awareness from the private sector, military competition in cyber space, political turmoil, and increasing cybercrime, APAC organizations will spend $22 billion on critical infrastructure technologies by 2020. Emerging economies such as China, India and South East APAC countries are one of the most potential destinations for Cyber security solution providers with an inducing need to safeguard cyber space. Sectors such as aerospace, defence, financial institutions, telecom companies are facing cyberattacks on a day to day basis making APAC as one of the most vulnerable and easiest to hack. According to the H1 2014 report released by Trend Micro Incorporated for the APAC Region. It found that threat actors targeting the region are continually refining their targeted attack tactics, which allows them to remain undetected. At the same time, old vulnerabilities resulting from unpatched software and applications are being exploited to the fullest. With Trend Micro’s 2015 security predictions further predicting targeted attack campaigns in APAC to increase in size and scale, 2015 may very well become the year where targeted attacks come of age. According to the report, spear-phishing emails are still the most common infection vector for infiltrating networks, with almost 80% of the targeted attack malware arriving via email. Typically sent to employees in target organizations, spear-phishing emails convince recipients to either click a malicious link or download and execute a malicious file. Some of the most common email attachments used to deliver payloads include Microsoft Office documents (57%) and RAR files (19%), as they commonly change hands in any organization. Another method used to infiltrate target networks is compromising the websites an organization’s employees commonly visit. When their target employees visit these compromised sites, their systems get infected. 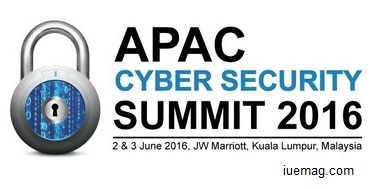 Cyber security is recognized as an important issue in the Asia Pacific Region. The Asia Pacific Cyber Security Market is expected to grow to $32.95 billion by 2019, with an expected CAGR of 14.1 percent for the period 2013-2019, according to International Data Corporation (IDC) and the National University of Singapore. Cyber Security market in the Asia-Pacific region has grown at a CAGR of 15.15 percent over the period 2014-2019. Spurred by private sector awareness, political turmoil, and cybercrime, Asia-Pacific organizations will spend $22 billion on critical infrastructure technologies by 2020. The private sector – highly developed, economically lucrative, and a prime target for the theft of intellectual property, blackmail, phishing, and identity theft – is investing in cyber security in nations such as China, Japan, Korea, Australia, New Zealand, Hong Kong, and Singapore. These markets have been slow to produce comprehensive national cyber security strategies and to implement the necessary legal frameworks for security and critical infrastructure protection. In order to achieve high levels of cyber security, public and private stakeholders need to be equipped with the capacity to effectively prevent, mitigate and respond to cyber-attacks and incidents and also have the proper legal frameworks and necessary infrastructure to implement them. The health care industry has a firm responsibility to defend the security of its clients' data. With most health care data stored online that means hospitals and other health care facilities need to have top-tier cyber security standards in place. Right now, that's not happening – and that's a real problem. According to the Identity Theft Resource Center's data breach information – current as of Dec. 1 – around 176.275 million records have been breached so far this year. Of those breached records, more than 120 million of them – or 68.1 percent – have come from the health care sector, making it by far the most-breached industry in terms of number of compromised documents. The incidents are wide-ranging, and include health care organizations of all sizes and types, from local hospitals to massive insurance providers. The common denominator between all the breached institutions is that their networks are far more vulnerable than they should be. While many health care-based breaches involve accidental information exposure, there are plenty of malicious incidents as well.